Seth Wild is a firefighter who has lost everything. Nearly dying in a building collapse, he is scared and angry and chases away the only good thing in his life—school teacher Casey McGuire. 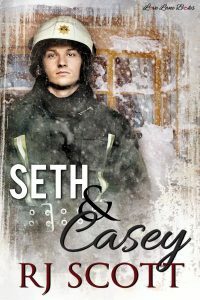 When a sudden and violent snow storm hits their town he receives a message Casey and ten kids are trapped in an education center with no way out. There is no one else who can help, he’s the last firefighter in town with his bum leg and his icy heart. Sounds excellent. I want now not 30 days from now. Loving this series so far, can't wait to read this one.